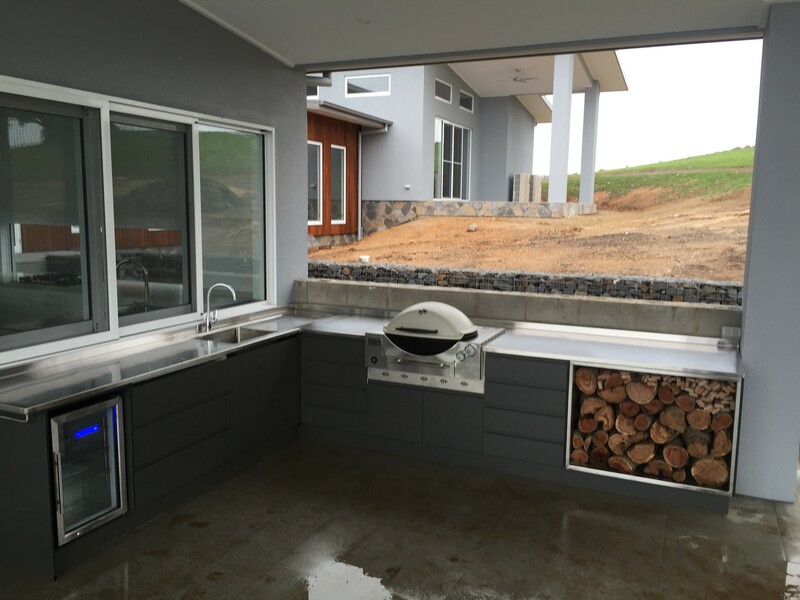 Steel Skill also manufacture outdoor kitchen entertaining areas for the home. We create fully customised stainless steel bench-tops to suit your needs or design. All shapes and all sizes, we will fit into your needs. Our expert team has extensive knowledge and experience of stainless steel kitchens. You can trust us to manufacture and install the outdoor entertaining area that is right for you. Contact us now on (02) 6056 1944 to discuss your outdoor entertaining needs.